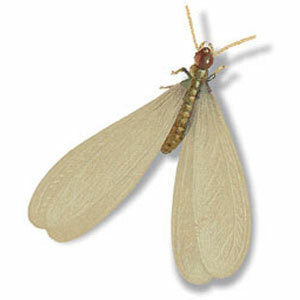 Subterranean termites are very common in Florida. Different varieties of these termites all cause significant damage to homes and office buildings each year. It is estimated that termites are responsible for $5 billion in damage across the U.S. annually. Termites chew through wood in order to find a place to make a nest. Nesting termites breed until infestation levels are reached. Termites eating wood inside of the structure of a building cause weaknesses and severe damage. People who do not detect termite activity until extensive damage has been done often pay thousands of dollars to repair termite damage. Anyone who notices these signs or has any reason to suspect that termites are present in a home or structure should contact Venice Pest Control immediately. Have you found signs of termites in your home or business? Venice Pest Control is here to help. Our professionals are familiar with termite biology, habits and conditions that may contribute to termite infestations. Contact us today to learn more about our termite control methods, schedule a thorough termite inspection, or to get a free estimate for an existing infestation or preventative treatment.